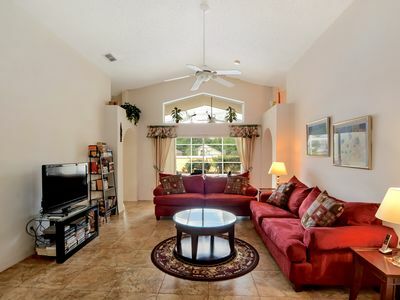 This spacious 5 bedroom 5 bath holiday vacation home rental that accommodates 12 guests comfortably. 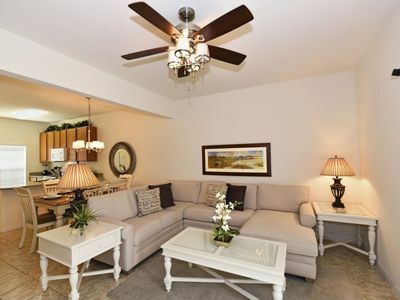 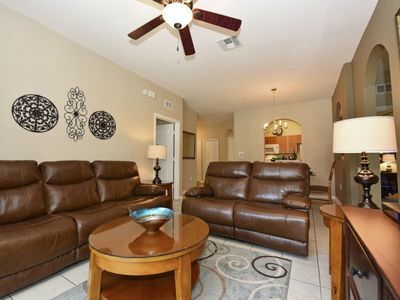 Modern and up to date decor along with free WiFi, cable, local calls, and TV's in every room. 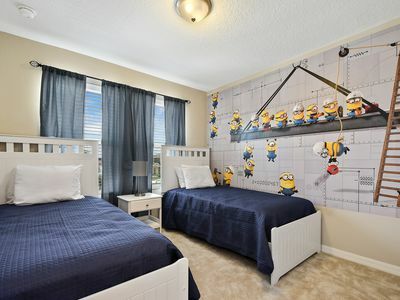 This home has 2 King beds, 1 Queen bed, 4 single beds, and queen size sofa bed. 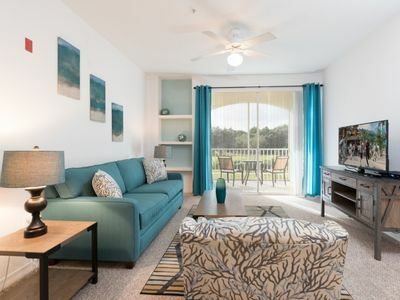 Paradise Palms is a new luxury vacation rentals resort community that gathers perfect location, great amenities and 24 hour security. 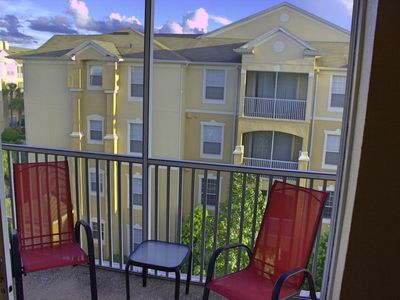 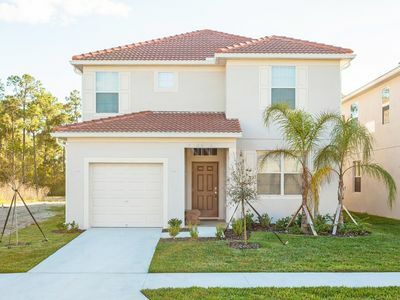 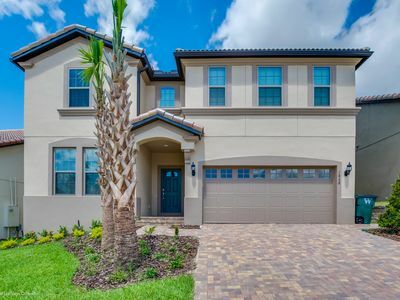 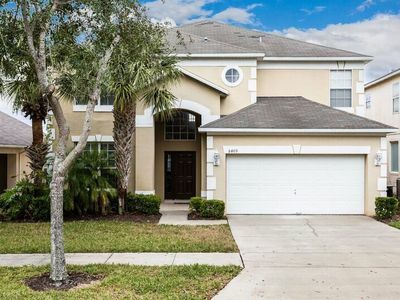 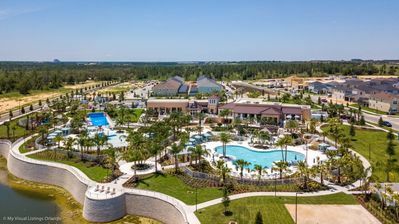 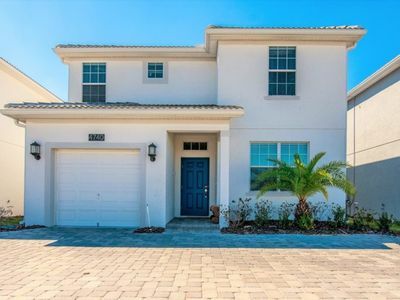 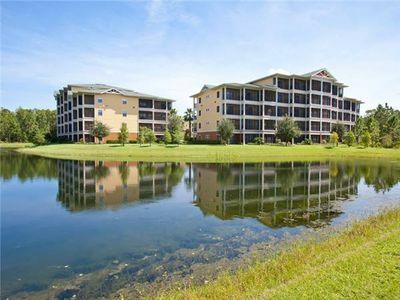 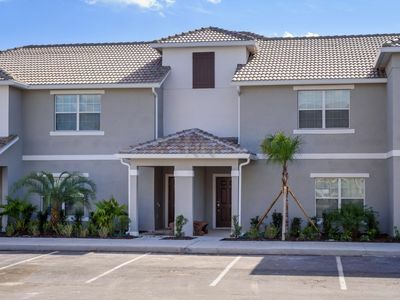 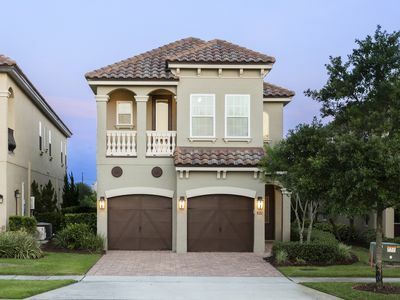 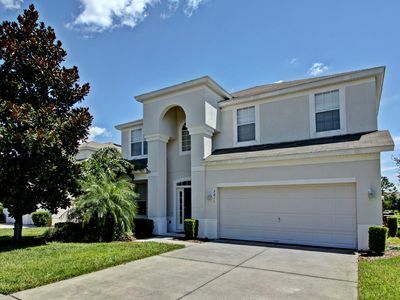 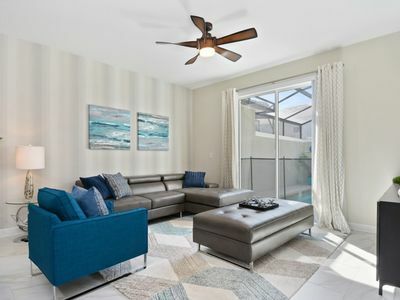 Located in Kissimmee Florida, it's just few minutes away from the main Orlando attractions, such as theme parks, outlets, supermarkets, shoppings, restaurants, golf courses, museums and cinemas. 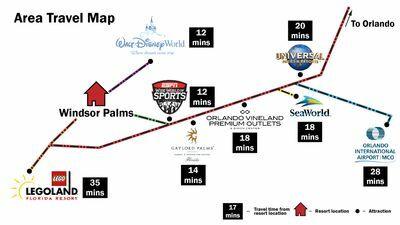 From Disney parks, it's only ten minutes drive. 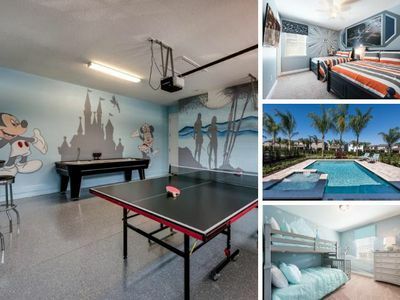 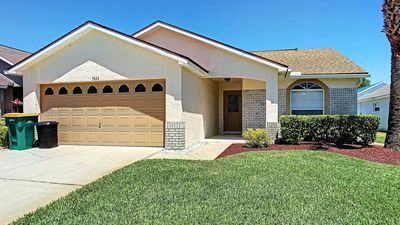 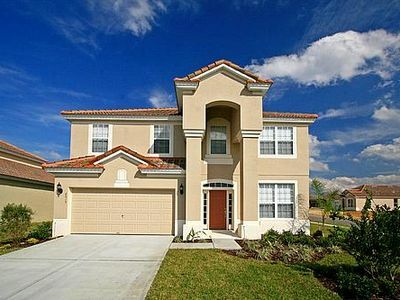 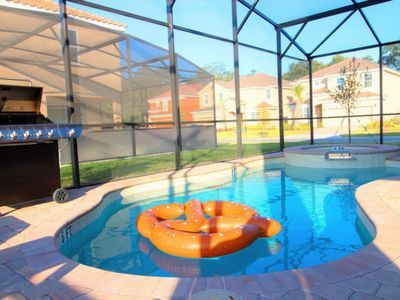 Ideal Vacation Home with private pool minutes to Disney !